Dust Mite (Dermatophagoides pteronyssinus) under a microscope! Unless you live in Antarctica, you've got millions of dust mites living in your house (and we didn't even count the ones in those corners you keep meaning to clean). See what you're up against -- or put these little reminders where they're needed most! Fun novelty to hide in corners or under the couch. FACTS: Although many people credit pollen and animal dander with triggering allergies, dust mites are the primary cause of year-round allergies and asthma. Nearly 10% of the population is affected! 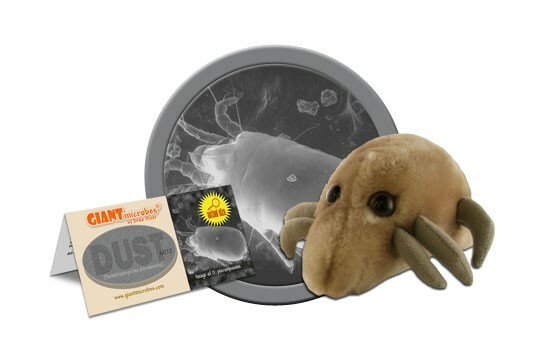 Eliminating dust mites in your house is no small challenge. However, washing sheets and clothes regularly in hot water can kill large numbers. Dehumidifiers can also help control dust mite colonies, though to achieve devastating effect humidity below 40% must be maintained for an extended period of time – a difficult undertaking except for those who already live in dry regions. Because dust mites are particularly prevalent in pillows and beds, anti-allergenic covers can often provide significant relief. Finally, regular vacuuming is absolutely imperative; once dust mites burrow deep into rugs or sofas, they all but own the territory. All of which makes these dust bunnies nothing to sneeze at! 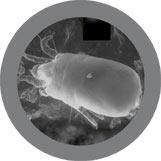 Dust mites are tiny, microscopic insects that live in textiles and furniture, like carpets and beds. They’re commonly found everywhere in our environment and are impossible to eliminate. They love warm and humid places, and feed on dead skin flakes that people shed daily. At a rate of 1.6 pounds of skin shed per person every year, these tiny critters are kept well fed all year long! It’s name is derived from Latin roots. The genus name describes the bug’s eating habits. “Dermato” means skin “phago” means to eat. The species name describes the appearance of the bug. “Ptero” describes its feathery texture, and “sinus” describes its bent body shape. Ladies and gents, I present you with a skin-eating bug with feathers and a curved body. It’s the stuff sci-fi originated from! 0.2 to 0.3 millimeters, or 4,000 times smaller than a golf ball! These bugs aren’t parasites, they don’t bite, sting, or burrow into human bodies. Instead, their feces and body fragments are the harmful allergens that can trigger allergies and asthma symptoms like sneezing, runny nose, red and itchy eyes, coughing, and difficulty breathing. First discovered in house dust in 1964 by Voorhorst, et. al, and Oshima. 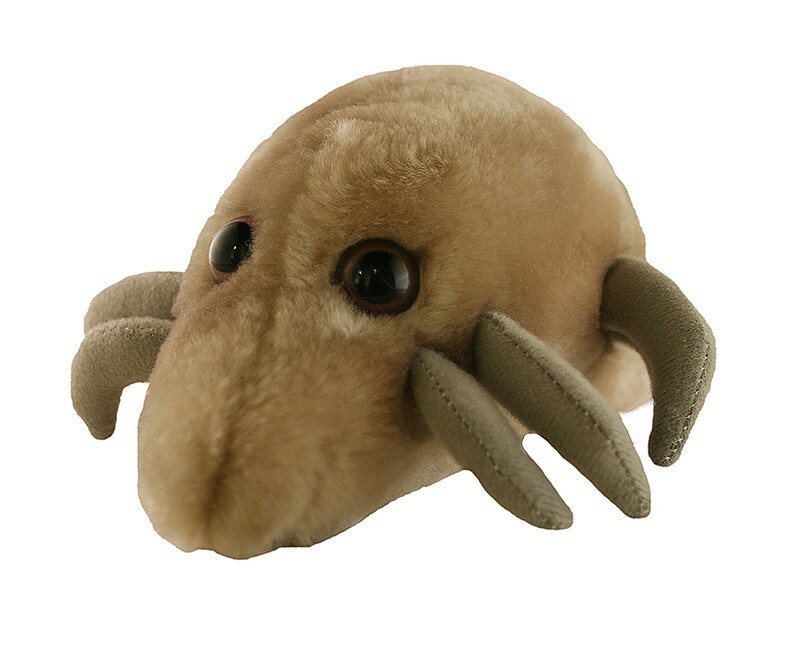 Dust mites have 8 legs and are closely related to spiders!